Ross is a Financial Planning Manager and a YOYP 2018 ambassador. Abbie Wilson inspires me- she started in Young Scot as a volunteer who was shy and she worked her way through and now sits on the YS Board as Deputy Chair. 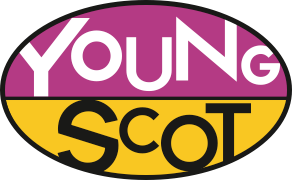 The people and opportunities that is presented top us in Scotland through Young Scot. This allows people who are not currently engaged to become so within Scotland. That we are not all useless and not all hanging around street corners. Getting a YS award for environment. I would love to change the perspective of older generations towards young people. Don’t be afraid to be yourself and don’t give up. If Ross’ story has inspired you, why not share it on social media using the hashtag #MyStory365 or visit the ‘Get Involved’ section to share your own story!